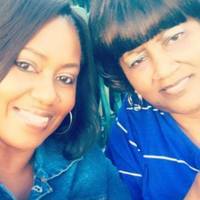 Provide comfort for the family of Deloris Cole with a meaningful gesture of sympathy. Rollins' Mortuary announces with deepest sympathy the passing of Mrs. Deloris Kennedy Cole, age 69, of Tuscaloosa on Wednesday, January 30, 2019, at DCH Regional Medical Center. Funeral services were held Saturday, February 9, 2019, at 11am at Mt. Pilgrim Baptist Church. Rev. Frank Kennedy, Sr. officiated. Burial followed in Cedar Oak Memorial Park with Rollins' Mortuary directing. 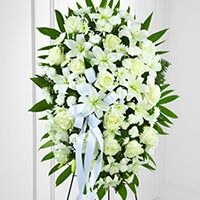 To send flowers in memory of Deloris Kennedy Cole, please visit our Heartfelt Sympathies Store. We encourage you to share your most beloved memories of Deloris here, so that the family and other loved ones can always see it. You can upload cherished photographs, or share your favorite stories, and can even comment on those shared by others. Kie & Martha Harrison and Morgan, Thomas & Sarah sent flowers to the family of Deloris Kennedy Cole. Clyde, for many years, you and Deloris have had a Special Place in Our Hearts, And Will Always Be Part of Our Family. Kie & Martha Harrison and Morgan, Thomas & Sarah purchased the The FTD Exquisite Tribute Standing Spray for the family of Deloris Cole. 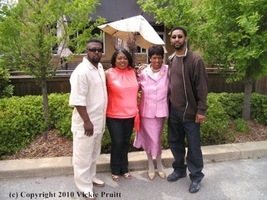 May memories of Mrs. Deloris and the love of family surround you and give you strength in the days ahead. Although God called you so suddenly, we miss you already. I have attempted to call you on several occasions today...I am going to miss our daily phone calls, our visits, getting you all dolled up & most of all you leaving your classic voicemail, “Vickie Call Momma”! This was going to be our special birthday day year...3 generations of milestone birthday days with you, me & your 1st granddaughter.I love you infinity & you will always be remembered in our heart & lives. I love you momma! Fly high & rest in paradise.